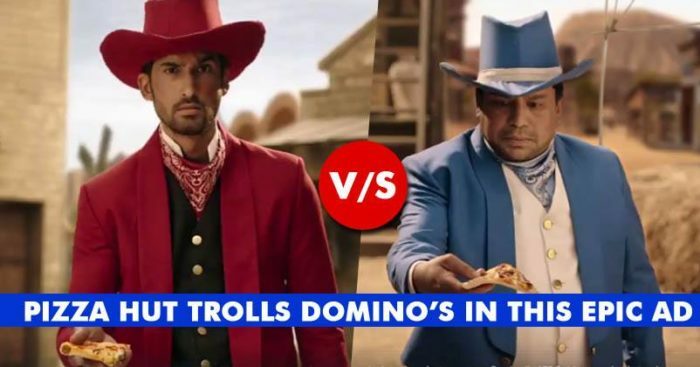 Pizza Hut Trolled Dominos In An Epic Way In This New Ad! You Will Enjoy It! Competition among brands in the market is not a big or a new thing. It is the main thing in the ‘Game Of Brands’. The years have witnessed many well-recognized brands fighting each other out in ads or billboards to appeal to the audience. The audience also does enjoy such epic fights and it’s legitimate. Some brands do that directly and some use indirect ways. BMW and Audi are examples of great fights by putting up billboards and giving a fitting reply to each other. Recently Bajaj Dominar too took over Royal Enfield in an epic ad calling them Elephants. No doubt the leading Pizza brands in the country would also do it! This time it is Pizza Hut trolling Dominos Pizza. Every food lover on this planet know how huge these brands are and they both are competitors in the market. Both have a loyal customer base. For some Dominos Pizza are way too yummy than Pizza Hut and some just differ on ideas. Pizza Hut took the rivalry to another level with their new epic ad ‘Battle of Crusts’! Pizza Hut acually came up with stuffed crust pizza. That they promise to be more crustier, yummy-licious and tasty. 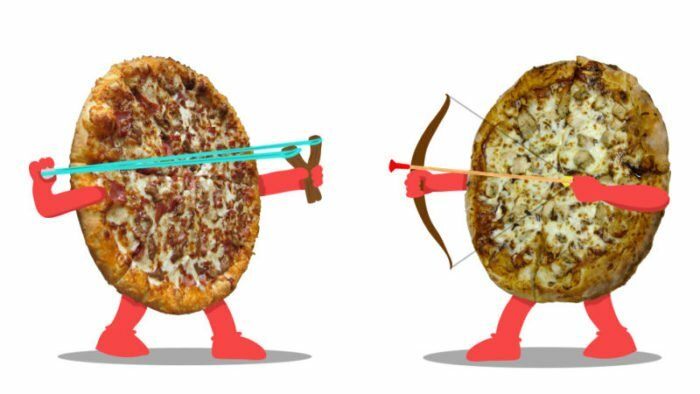 In the ad two men named “Mr Pizza Hut” and Mr. “Dominic” are witnessed to get ready for the battle. They are seen to boast about their Pizzas. Though no direct mention is done but it’s evident from the blue color and the name Dominic that the person is referred to as Dominos. 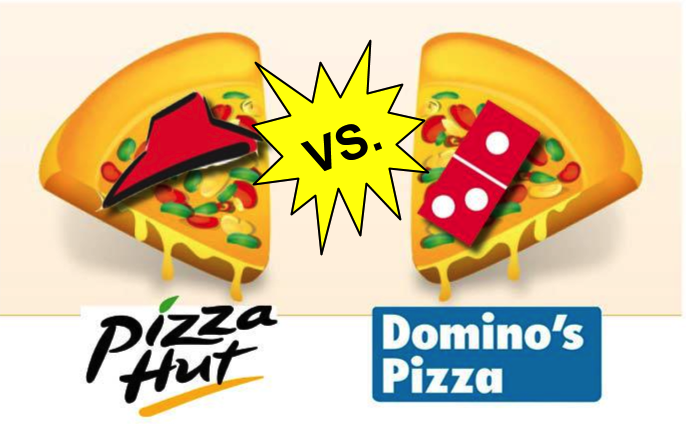 The ad shows how plain and simple is Dominos Pizza crust but Pizza Hut wins the battle with their stuffed crust. Now we have to wait and watch how does Dominos Pizza give a reply to Pizza Hut!